The Senior HR Business Partner provides their clients with a complete strategic and operational perspective as they develop, adapt and execute their strategic and operational plans. You will coach your HR Business Partner colleagues in order to achieve the wider business strategic agenda and drive continuous improvement with the clients groups and the People and Culture team. You are an experienced Human Resources professional who wants to make a difference. You are a team oriented person who enjoys leading and making an impact on your team and stakeholder. A high level of knowledge and expertise in the systems and regulations governing the function, and of the industry and discipline. Ability to apply your knowledge of research, analysis and project management techniques, and should undertake continuous professional development to stay up-to-date. Postgraduate qualifications in HR or a related discipline. Applications close 11.00pm Thursday 18th April 2019. Click the link to apply, and join us in making a difference to Victorian lives. Only people with Australian Citizenship or Permanent Residency may apply for this position. You will be required to undergo a National Police Check as part of the recruitment process. For further enquiries please contact Gemma Simpson on 03 9940 4531. 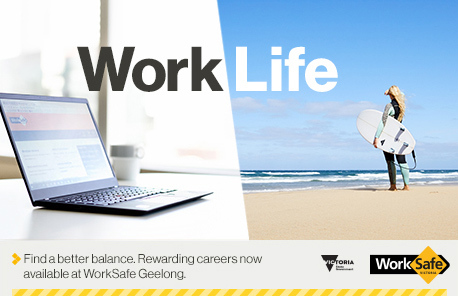 At WorkSafe our passion for the wellbeing of Victorian workers brings us together. Our people come from a wide range of professions and with no two days ever being the same, diverse thinking comes naturally to us. As we build the WorkSafe of the future we’re committed to delivering industry best practice to our people, our customers and the community. Our goals are to embed in every workplace a proactive, prevention-led approach to health and safety across the state, and to provide a personalised, tailored service for every Victorian who comes into contact with WorkSafe. Like wearing a seatbelt or putting on sunscreen, “prevention-led” thinking will become automatic every time Victorians step into the workplace.